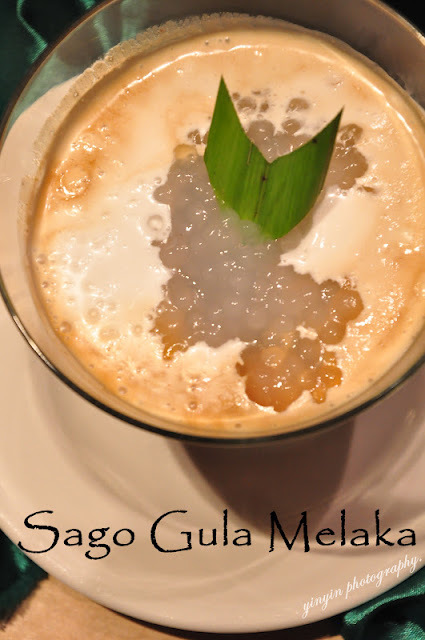 Soi 23 is a hidden gem on level 23 that is found in a boutique hotel, Pacific Regency Hotel Suites, Kuala Lumpur. 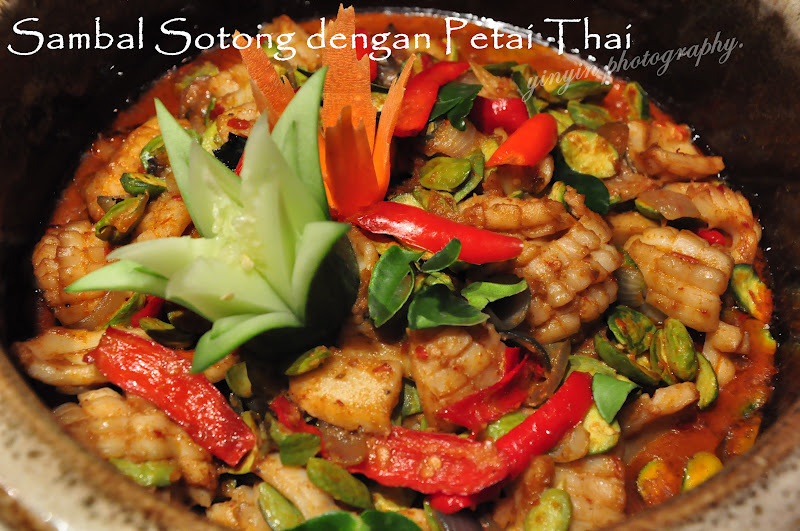 For the month of July, an array of sumptuous traditional Malay menu injected with a dash of Thai culinary flavours prepared specially by Chef Suphakit Khammungkhun. 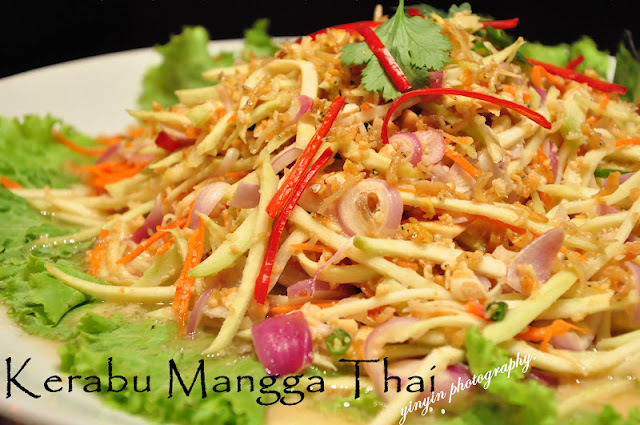 So, you don't have to travel all the way to north just to have Thai cuisine! You can enjoy your thai cuisine together with eye-catching Kl city skyline. Easily spotted Kl Tower just infront of your dining place, how fascinating it is!!! Of course not to mention the variety of their food because it's a buffet meal. 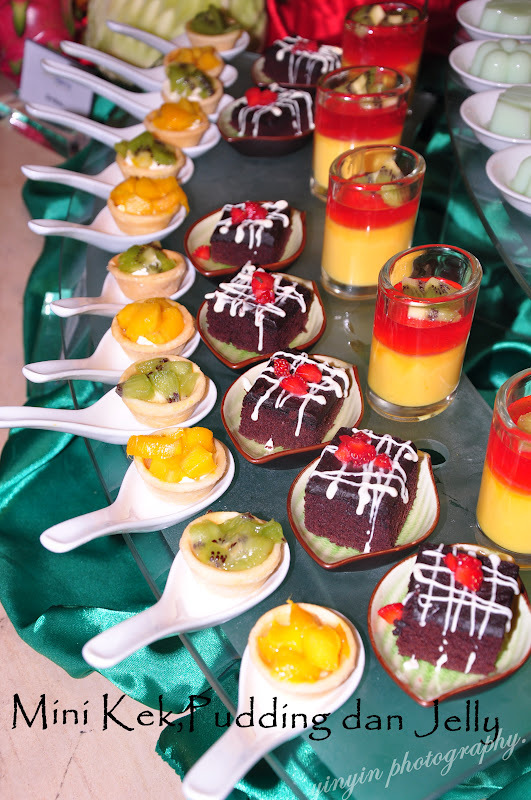 You will definitely be indulging lots of delicious food prepared by the chef. Here are some of my pick. This is a must have dish for every Thai cuisine as a starter to appetite your entire meal. I love something that is sweet and sour. I could just salivate by looking at those mango here. 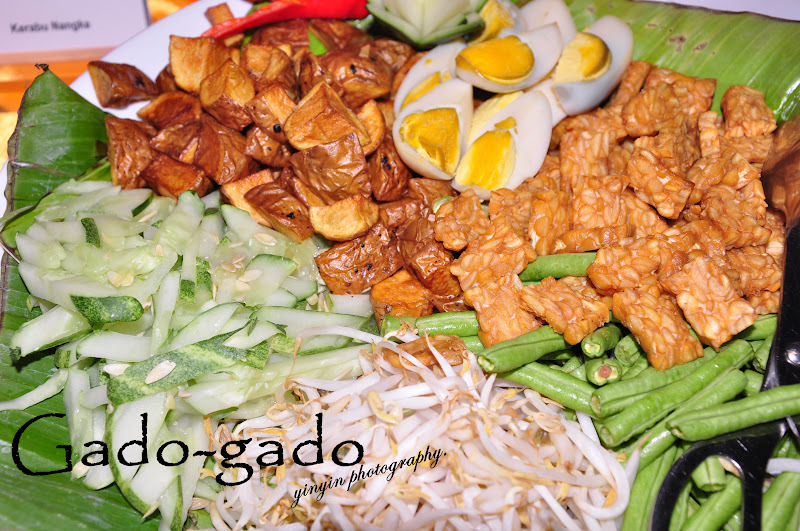 Gado-gado is an Indonesian dish consisting of boiled vegetable salad served with a peanut sauce dressing. I't a healthy rojak for me and I love it! 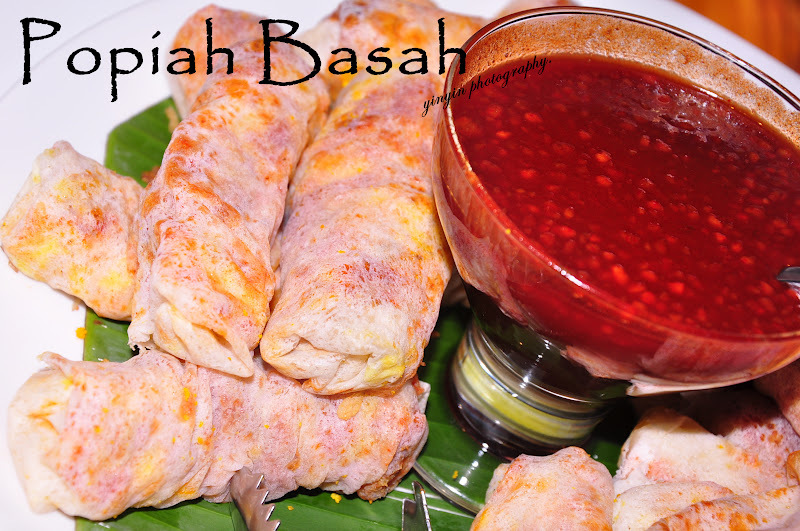 Another appetizer to share. 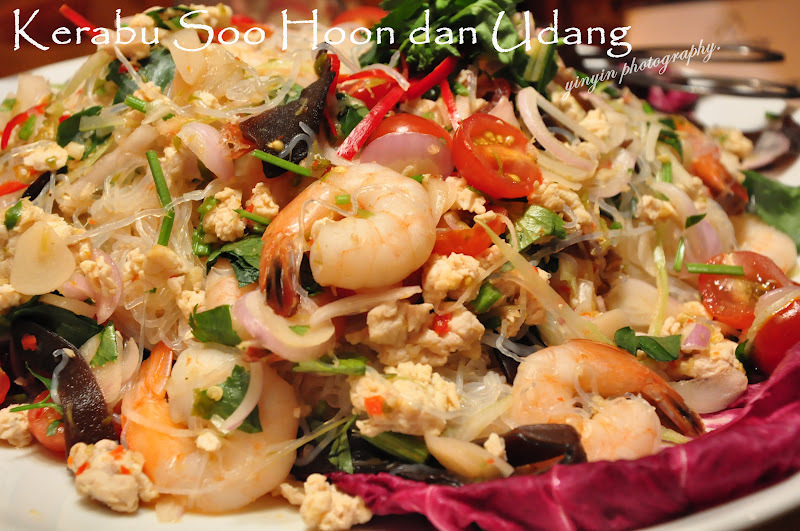 Thai salad usually comes with the special combination of soo hoon or what we called glass noodle and prawn. Love the elastic texture here. I believe many people will put petai in the same category with durian because of their strong taste. But they are my favorite! Learn to love them and I bet you will love them like me. 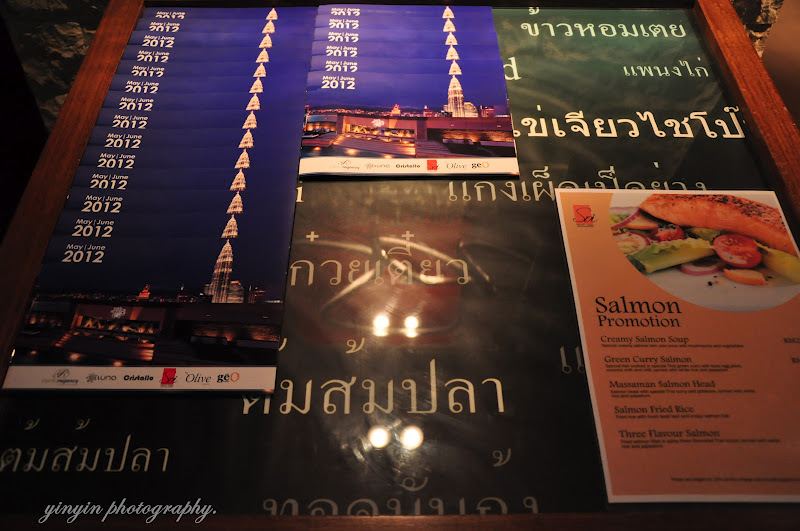 I love Thai cuisine because they really good in using those spices and herbs and stuff. Hot and Spicy!!!! Just as how it looks. how's the taste? Sweet, Sour, Spicy!!!! I could just paired this dish with piping hot steamed white rice! Give me a bowl of rice please?! For all the buffet that I've visited, this is the section I love the most because we get to watch the chef performing on stage! Oppssss....I mean they will be in action with some great dish here. 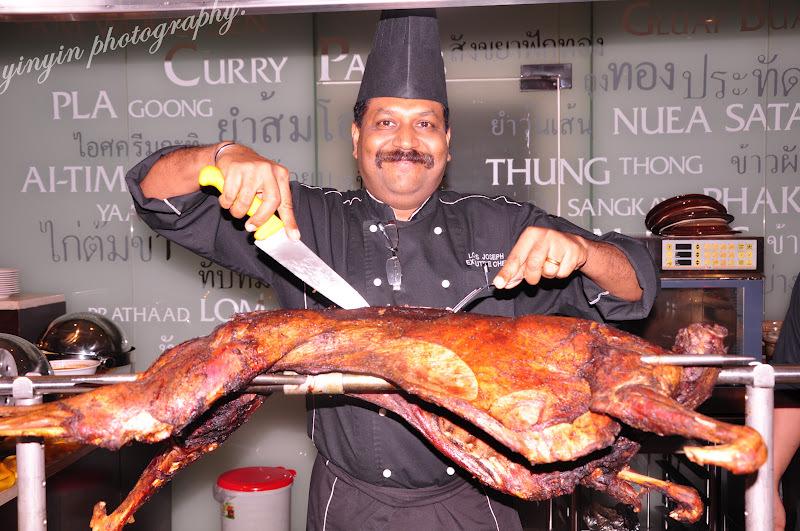 Checkout the chef in huge smile serving us with Roasted Lamb paired with Rosemary sauce. wow!! 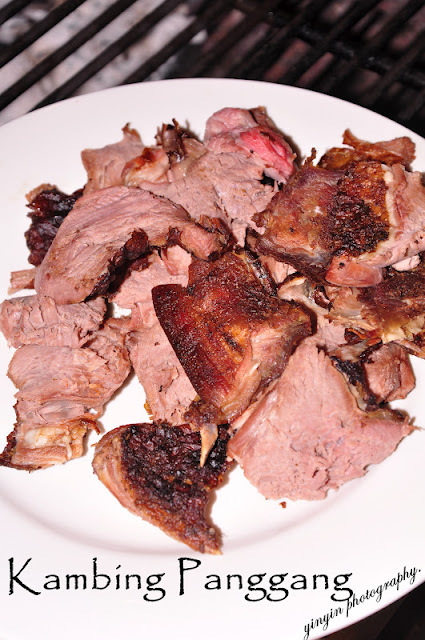 !such a JUMBO huge lamb and it's my favourite dish of all!!! 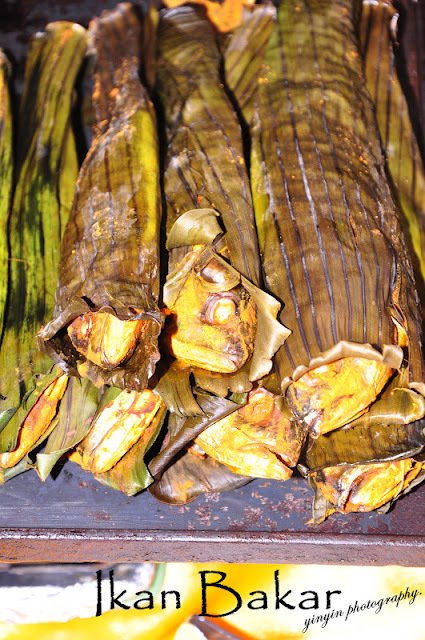 it's good even by itself..
Other choice such as Ikan Bakar. 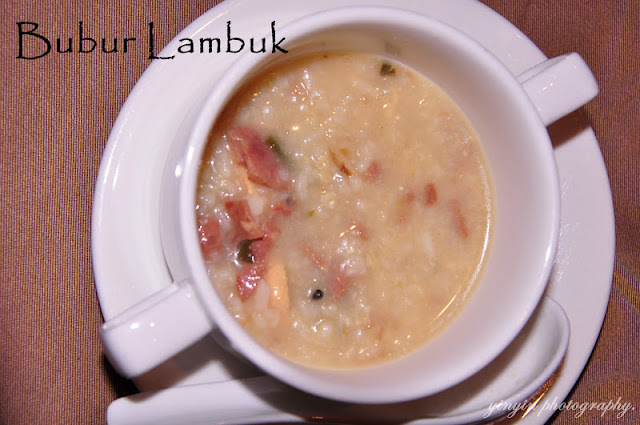 Then I filled up some space in my stomach with the "Goldilocks Porridge"...hahahah I mean Bubur Lambuk. 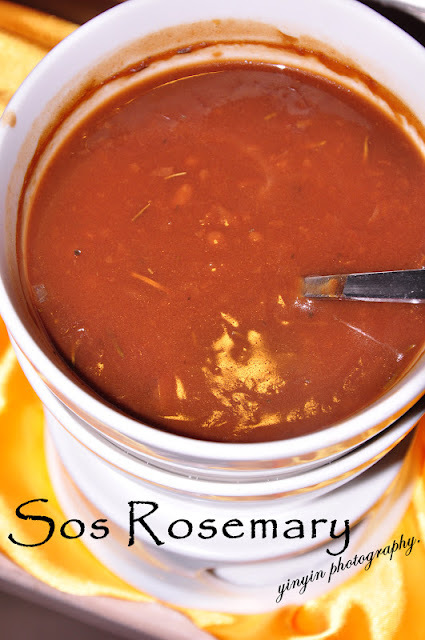 This porridge is so special and it's full with ingredients. Bubur Lambuk is a very popular dish during the fasting month of Ramadhan served during the breaking of fast. It is an appropriate starter for the other dishes that follow the meals. I love that they use herbs, coconut milk, ham and some other stuff in the ingredient. This is not a fruit!!!! 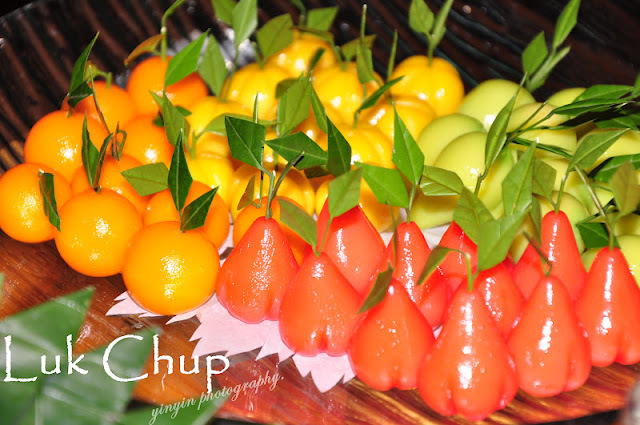 Luk Chup was a Thai dessert that originated in the royal palaces of ancient Siam. It is said that the royal family members ate this candy which was shaped like small fruits and vegetables. Pengat refers to the sweet gravy dishes using a banana as the main ingredient. 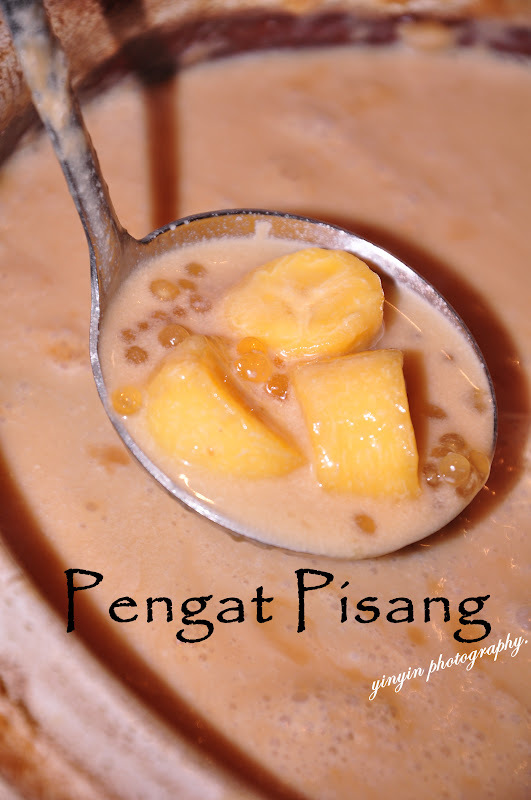 Pengat pisang (banana) is a popular dish in Malaysia , especially on the East Coast, namely in Kelantan and Terengganu . 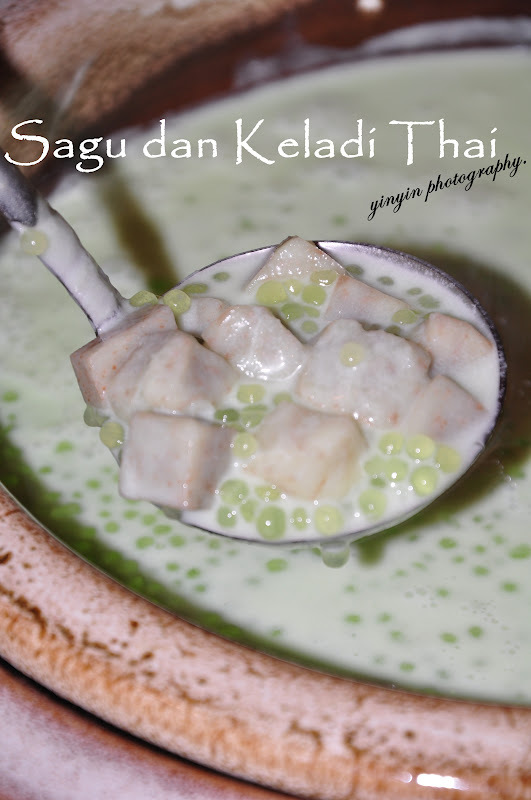 It is cooked in coconut milk and sugar to produce a thick gravy dish sweet and rich. 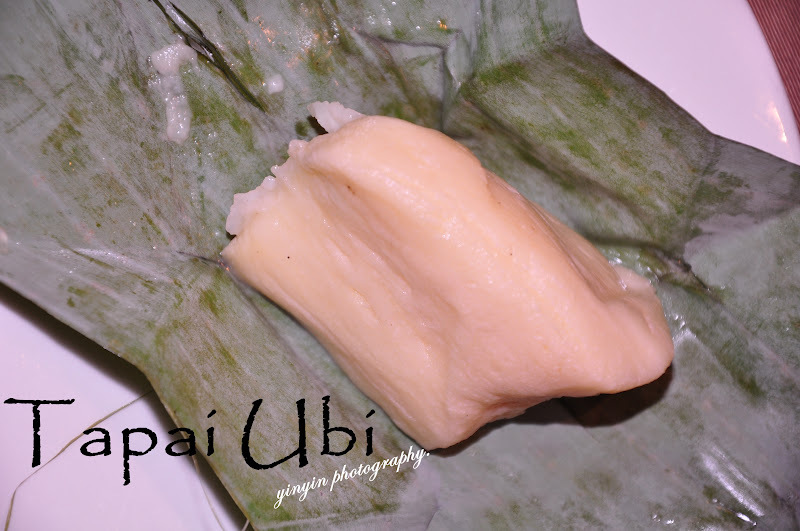 Yam in dessert will always be my choice. 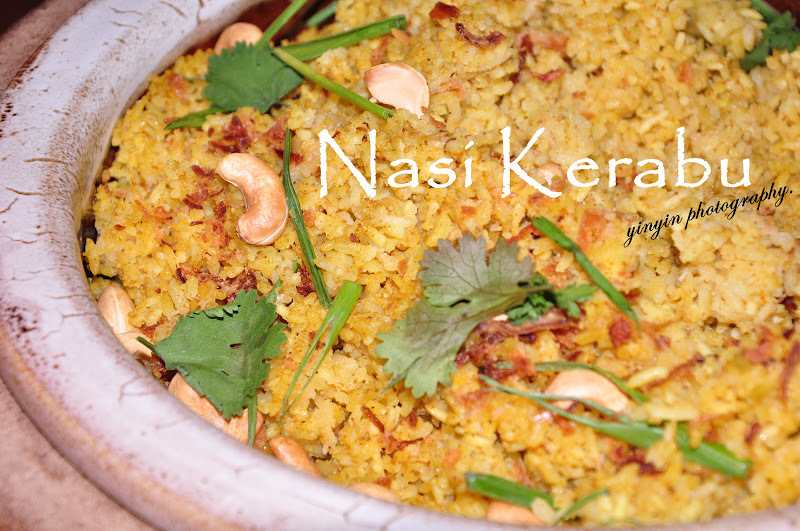 Excellent to go with the coconut milk! It's a traditional fermented food found throughout much of East- and Southeast Asia. 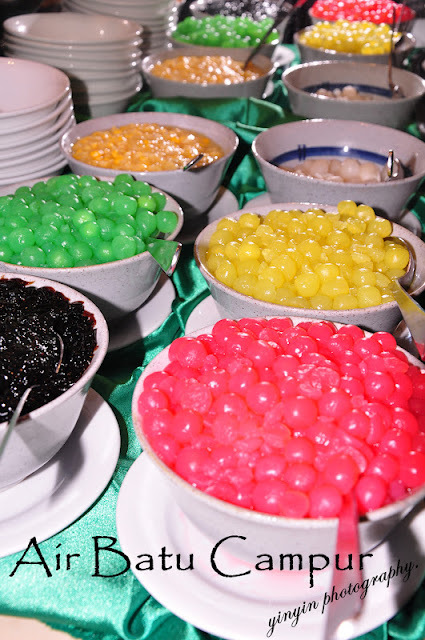 It tasted sweet or sour alcoholic paste. 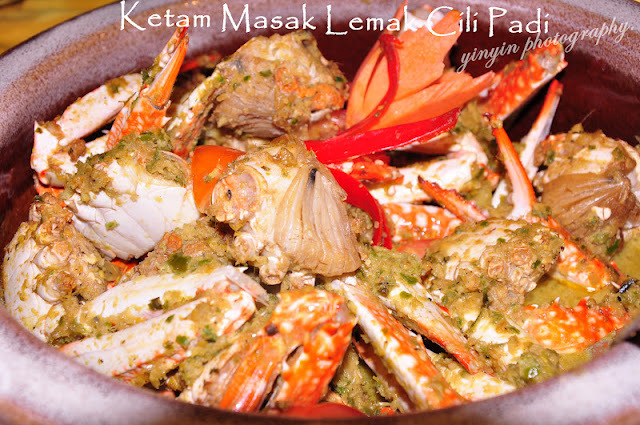 Price starts from RM78.00++ during the 1st and 4th week. However, the price goes RM88.00++ during the 2nd and 3rd week of the promotion. 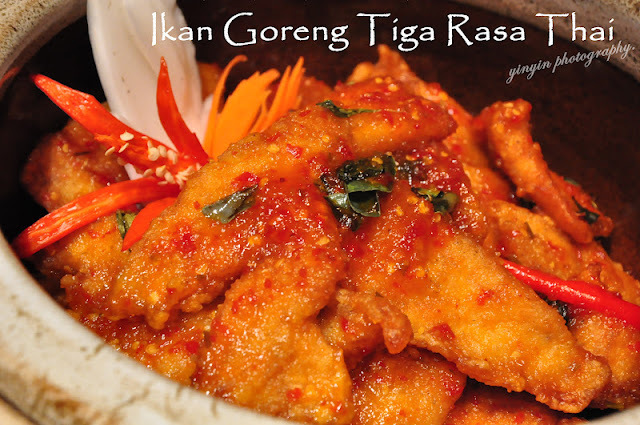 Seize this opportunity for something different on our food offer while dine in the comfort of their stylishly furnished Soi 23 that offers an expansive view of the city's skyline. This restaurant seats about 100 guests, so be sure to make your reservations early!!! 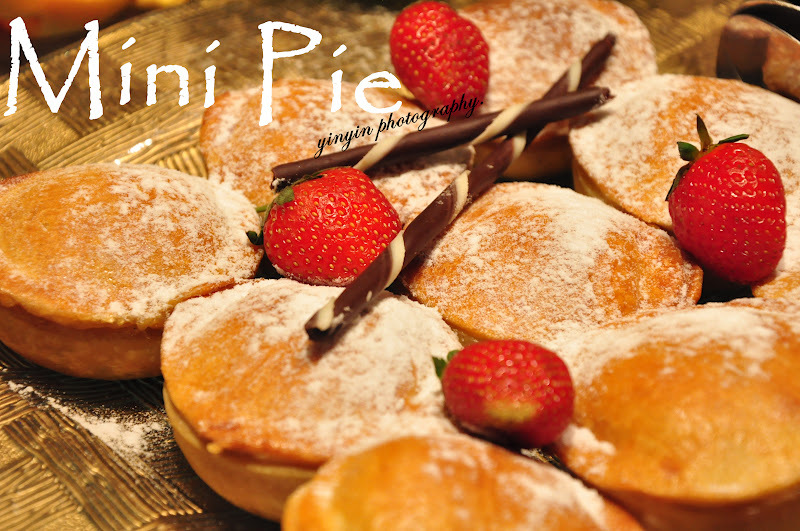 The promotion begins 21 July to 18 August 2012 for dinner from 6.30pm to 11.00 pm. oh so yummy! :) sadly i miss this. Good shot of chef with the grilled lamb!